Stemming from a discussion initiated at Owen Wiltshire’s Another Anthro Blog, regarding a post by Owen titled, “Open Access and Anthropology — a free and easy interview,” I decided to develop my comments into a full post here, building on my previous post on “National Security Research and the Geopolitical Context of Knowledge Production.” Owen has since decided to produce a post titled, “Two Sides to Sharing Knowledge,” which effectively sums up the dilemma at the heart of this post. Both the militarization of the social sciences, and the push for open access, are two sets of trends, arguments, and movements occurring at the exact same time, and in the same space (whether by space we mean the space of the social sciences, or more narrowly, the space of blogs). The U.S. military, and national security researchers more generally, have done their homework — nobody can fault them for segmenting their understandings of these two movements. Some social scientists, on the other hand can be faulted, which is why this is possibly the only post on the Internet dealing with the challenges to an independent social science posed by military penetration of open access (I welcome any references to related writing aside from what has already occurred on Owen Wiltshire’s blog). Not only have I been given reason to temper such passionate support, I call it into question. Indeed, it was one of the cornerstone principles in founding this very blog. I may need to consider a name change for this blog and the amorphous project it represents, in the not too distant future. Even if the concept of “open” was not reducible to open access, it could mislead someone into thinking so. The story behind my concerns is a simple one. Roughly a year ago I was contacted by a researcher and writer for The Jamestown Foundation, who was interested in conversing about my past research with the Jama’at al Muslimeen of Trinidad, a group that made international headlines in 1990 when they destroyed the national police headquarters with a massive truck bomb, stormed parliament and the national television station, and took as hostages the prime minister along with ministers, parliamentarians, and journalists. They made international headlines again in 2007 when the organization was wrongly alleged to have backed a “terror” plot to blow up the JFK International Airport in New York. The email exchanges between the researcher and myself were pleasant, and we both agreed that the mass media had created a false image of the Jama’at al Muslimeen as being some sort of Al Qaida branch with international designs. It’s also true that the Jama’at attracted attention when their members attested to having received military training in Libya, and its leader (Imam Yasin Abu Bakr) has traveled to Sudan. For a while, I was the only researcher allowed access by the group’s leaders once they had been freed from jail. This was a time before I decided to enter anthropology. Their argument was that, as a non-professor, and non-journalist, I could be counted on as a “free thinker” without an axe to grind. Indeed, to a large extent, the book was a sympathetic treatment, and one that went against the flow of mainstream assertions and characterizations of this movement. 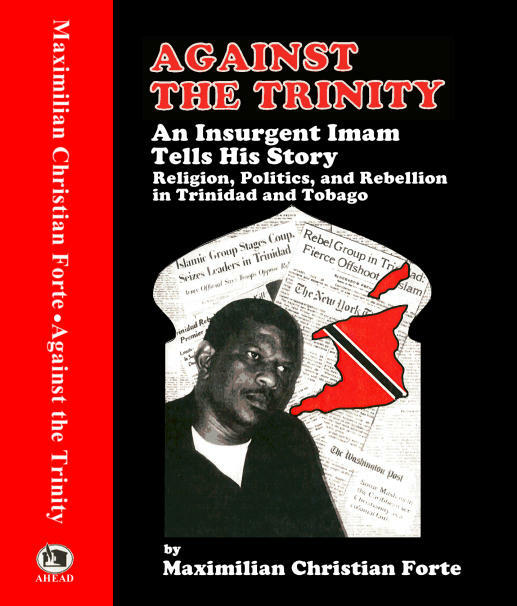 It earned at least one lengthy, angry review by a leading and senior Trinidadian political scientist in the local press, who found that most of his conclusions had been eroded by the contents of this book. The researcher with the Jamestown Foundation wanted to know how he could acquire the book or copies of its chapters, which I did not provide. I had planned, after many years of procrastination, to produce a free, online-accessible version, and one for print-on-demand, once I could find the time to reformat all of the publisher’s original files that were created using a program that is now defunct. I no longer have such plans. I am thankful for the fortuitous delays. The Jamestown Foundation’s mission is to inform and educate policy makers and the broader policy community about events and trends in those societies which are strategically or tactically important to the United States and which frequently restrict access to such information. Utilizing indigenous and primary sources, Jamestown’s material is delivered without political bias, filter or agenda. It is often the only source of information which should be, but is not always, available through official or intelligence channels, especially in regard to Eurasia and terrorism….Over the past two decades, Jamestown has developed an extensive global network of…experts — from the Black Sea to Siberia, from the Persian Gulf to the Pacific. This core of intellectual talent includes former high-ranking government officials and military officers, political scientists, journalists, scholars and economists. The Jamestown Foundation also publishes, online, Global Terrorism Analysis, “In-depth analysis of Al Qaeda and the War on Terror.” They claim to produce objective research, and at least in the case of the researcher who contacted me, it comes fairly close to a standard that some would call objective, not that I agree with its objectives. My main concern is not with the quality of their writing and analysis, but that it occurs and how it occurs, and what kind of access to research it seeks. Here was the demand for open access, and my first indication that perhaps for the right reasons I was on the wrong path. Soon after this very blog began in October of 2007, I noticed I had two solitary email subscribers via my feedblitz service. Both had email addresses ending in “osis.gov.” Since then, only one of those two continues to subscribe (hello, by the way, I hope you are having a fine day in Fort Leavenworth), the other having either changed job or dropped the subscription in disgust, among other possibilities. The benefit of this was to direct my attention to something I had never heard mentioned before: the Open Source Information System. Wonderful, I thought, here I am starting a new round of promotion of open access and open source, and what sounds like a leading academic organization is already interested. Wrong. Intelink-U is a virtual private network — a government intranet. It provides a protected environment to exchange unclassified and FOUO/SBU US Government and other open source data among Intelligence Community and other selected organizations. The Intelink-U firewalls safeguard government information resources and allow customers access to both the Intelink-U network and the public Internet. This gives Intelink-U users a single point of access to an unprecedented amount of unclassified open source information. Intelink-U is operated by the Intelligence Community Enterprise Solutions (ICES). Among Intelink-U’s subscriptions is the University of New Mexico’s Latin America Database, as well as EbscoHost Databases, to which most academic institutions subscribe and which contains a vast array of academic journals, including open access ones (the one which I founded and edited is in the process of being added). It is clear that it is not open access as such that is the main interest of this intelligence network, but rather electronically accessible and thus “harvestable” research that is open to deep mining. Clearly, not all research will be of interest, and that takes us to a later point. The World Basic Information Library –WBIL– is a “virtual research library” built upon the basic information requirements of the Intelligence Community (IC) and military planners. WBIL constitutes the central data base resource under the Foreign Military Studies Office’s Open Source Information System. Since WBIL’s 1997 inception as a pilot project focused on Africa, it has grown extensively to include authoritative Open Source materials for selected countries worldwide as well as a broad range of transnational security topics. In the wake of the 11 September 2001 attacks on the United States, materials focusing on post-attack information requirements have been intensively added…. About 85% of requirements in the intelligence business can be met with open source, unclassified sources, and can be exploited by qualified military reservists working by telecommuting. The WBIL has remotely located reservists from all four branches of the service doing “virtual” collection and production utilizing their home Personal Computers (PCs). In other words, working at home using your PC to conduct research on assigned areas of the world for retirement point credit, just as if you were attending non-paid drills. What is Yours is Ours. What is Ours is Ours. Open access is open only to those privileged to have use of the medium, the Internet. So it was never really all that “open.” What the concept was premised on was an international, electronic infrastructure allowing for free access to contents on the part of those with paid access to the medium. We already have a fairly good idea that not all research conducted by university academics is of even potential interest to the military and intelligence communities. They would need to hire batteries of translators to even begin to make sense of a lot of the material, which is ironically one good argument for jargon-laden, hermetically sealed, specialist language. Knowing how not to be coopted will be one vital tactic for the Minerva period we are now entering. The Human Terrain System and Minerva have both made it quite clear what kind of research they are interested in, which together consist of an interest primarily in anthropology, sociology, political science, history, geography, and psychology. Names left out — bless these fields — are English literature, philosophy, fine arts, post-colonial studies, cultural studies, cinema studies, among others. The point is that not all research is at risk of cooptation, and not all open access is problematic. Let us keep in mind the broader issue, which is how the U.S. military and intelligence are looking for ways of incorporating scholars in producing a global surveillance net. One way is to bring social scientists on counterinsurgency and pacification missions. Another is to have them conduct analysis of stolen Iraqi documents, or to conduct fieldwork in areas of emerging or potential threat and describe the radicalization process and ways of counteracting it. Another is to comb through open access electronic resources. And yet another is just to get everything for free, by scanning, copying, seizing any or all electronic devices or written records from researchers as they enter the United States (see this post for more). Owen dropped a bomb on my head when he observed, quite incisively: “I would say your argument is against ethnographic scholarship and less against OA. Where else are you going to publish or hide it that would keep it ‘safe’?” Concerning the first part, I think he is very right, and he beats me to my own conclusions, which makes me indebted to his wisdom. I have quite a few problems with ethnographic research, enough to be, at best, divided on issues of its conduct, its assumptions, its output, its purposes. On this blog, without touting it as such until now, I have been doing “open source ethnography” (example1, example2, example3, among others) — using publicly available materials, sometimes in direct collaboration with non-academic co-analysts (see for example my comrades and partners in the sidebar), and re-presenting them to the public. Nothing was extracted from a private and hidden domain, nor is the analysis and remixing kept private and hidden and is made available to further re-use through a Creative Commons license. The sources themselves are not secret, nor wish to be. I certainly am an avid supporter of ethnographic engagement, despite my many misgivings, and I am constantly looking for new ways of creating an ethnographic experience, by other than the traditional means. This builds on some of my past practice with The CAC Review which was also used to feature interviews, reports from the scene of any given event, and essays by readers, with commentaries by readers also adding to shaping the content. If it doesn’t “feel” like research, it is become it is not motivated as such, not as programmatic and formulaic, not driven by career interests, and is usually very enjoyable. I could say more about this but will leave it for another time. Concerning Owen’s question, “Where else are you going to publish or hide it that would keep it ‘safe’?” that opens up many productive avenues, some of which will require some militant propagation at some universities, most of which will require more creative imagination than what is present in the preliminary list of options below. Where potentially risky research is concerned, or where one simply wishes to avoid cooptation by the national security state, a great many options are available — and two of them are not standard academic publishing nor open access publishing on the Internet. One option draws from the example of the University of the West Indies, where I was a student for three years. Some of my teachers were promoted to full professorships (the titles were either Reader or Senior Lecturer) based at least in part on having written a vast number of articles. And where were the articles published? They were “published” straight to the filing cabinet of the small research library that I used. These were the “unpublished mimeographs” available on demand, by regular mail, if the researcher or the library felt like satisfying the request for the mimeograph from an overseas colleague. Usually those papers had been presented at conferences, usually regional but mostly international ones. Some universities accept this as research dissemination already, and others will need to be taught to do the same. The research is thus available, it can even be available for free, but with impediments, and not in a format that can be easily manipulated by electronic means. Open access publishing also comes with impediments of course: need for a computer, and Internet account, or travel to access the necessarily limited services of a library, or pay to use an Internet café. A second option is to choose research projects that, in the eyes of the national security state, are entirely useless, and to write up the results in very esoteric language. Some have complained that we have already traveled far along this path in anthropology. Others, such as myself, writing on political subjects in rather plain language, have a lot more to worry about. A third, closely related, option is do to “research at home” with a community or persons who are not the subject of either a moral panic or some hyperbolic national security hysteria (community building in a local bowling hall in Moncton, New Brunswick, might be one possibility — although “community building” might be of value to “nation building” militarists, so even here we have to be careful). Researching elites, and perhaps even covert research within the state or corporations, might be very valuable contributions to knowledge. A fourth option is the one I mentioned previously, open source ethnography (and beyond). This begins to meld slowly with literary criticism, and other forms of research using primary data in the form of texts. Using primary texts is also the substance of theoretical research — “Re-reading Gadamer through a Post-Habermasian Spivak Lens.” In other words, beyond traditional ethnography, there are other research avenues that open onto the empirical, primary and qualitative that also form part of ethnography. The option might be an anthropology without ethnography. A fifth option is self-funding, or research without any funding. I know of theoretical researchers who produce volumes of work without ever hiring a single research assistant, without ever packing a bag, without ever applying for funding. Once the work is not funded by a public agency, the argument that “the public has a right to the research it funded” vanishes into irrelevance. A sixth option involves experimenting with forms of research communication that defy easy understanding and conventional requirements of the military planner’s database. Fictionalized ethnographies that mask their sources, even the locations of the research; ethnographic poetry; open source cinema; theatrical coproductions, etc. The limit here is only one’s imagination. If an academic is located in an institution that wishes to tout itself as bold, daring, innovative, “in your face,” then the ability to “sell” these options as justifiable for promotion and tenure might not be so difficult. In some places, there is a demand for iconoclastic researchers and free thinkers. Some departments are aware of the crisis of overpublication, and news of a faculty member publishing lots of books can provoke yawns at a departmental meeting. In more conservative and fearful environments, where individuals and institutions defensively seek to make compromises with the powerful and with tradition, then of course it will be much more difficult to sell innovation and imagination. Owen argues that open access levels the information playing field, to some extent, and I think he is right. Unfortunately, the players themselves are not equal, and I would not want to pit a local NGO against the U.S. Navy on the assumption that the playing field is equal. Nonetheless, I cannot deny that it is sometimes good to know that one’s open work is a poke into the spying eye of the military and that it hopefully causes some friction. The question remains whether open access publishing is the kind of innovation that is most needed right now in anthropology. I worry not just of the context of deploying open access, but also the technological determinist premises that if you change the medium, you change the message, which undoubtedly is true to some extent. Open Access is required in all disciplines and not just in Anthropology. Thanks and congratulation for writing such an elaborative post.